Laurie went to visit Frontera Cocina a few times. Her review makes me want to get over there and try this out. Have you been? What are your thoughts? 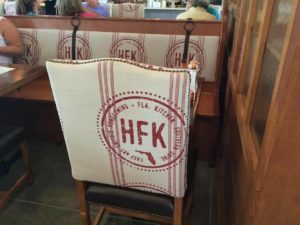 What makes this the best restaurant in Disney Springs? Find out. I am not concerned about prices and bang for the buck, I prefer comfort and good food. This restaurant is well lit so you can see the food, menu, bill, and loved ones face. They have booths and armless seats with moveable tables for us who have a hard time standing up. There is no carpet, so I am very happy. I love the decor and artifacts on the walls. Most of the place has ample space so that one doesn’t have to hear about the lives of others. The menu has changed so my report is a tad bit late. I went for the iced tea with hints of mango. The shocking part of the restaurant is their bar menu and the main dinner menu. Instead of mixes from cans they use fresh ingredients like agave nectar and lime juice. Their Latin bar menu features tequila, sotol, mescal, and Mexican beer. They feature margaritas such as the Watermelon Pink Flamingo with tequila, watermelon juice, lime, and orange liqueur. 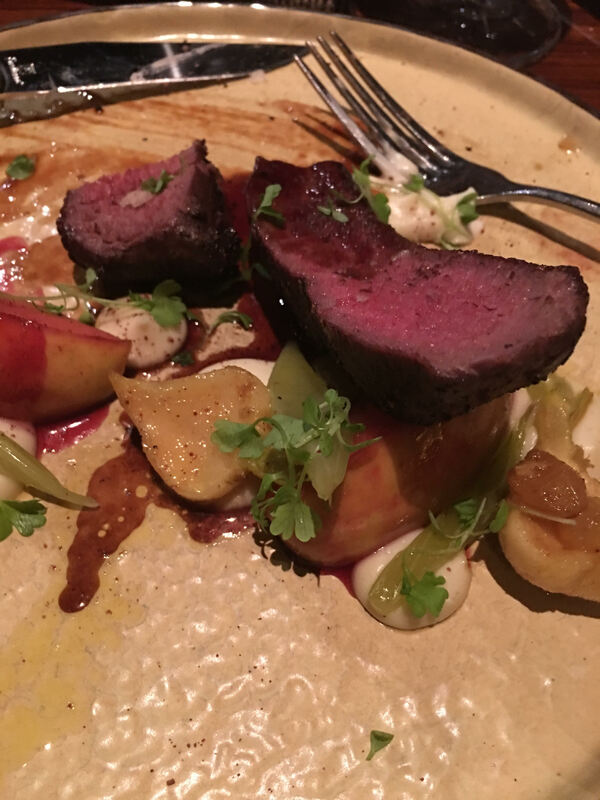 The kitchen uses free range cattle and all meat comes from farms that they will tell you about. No agar, preservatives, artificial stuff, and soy oil is used. The only items with gluten are flour tortillas, desserts, and an onion topping. The menu mentions seeds and allergens. Their recipes make it easy to substitute or hold an item. This is why I love Rick Bayless and this restaurant. This report is from several visits. I started off with guacamole and chips which are meant for sharing but I wasn’t sharing because it was so good. They offer atomic, bacon, and verde styles. Another time it was a fresh shrimp cocktail with jicama (mild crunchy root), mango, avocado, and cilantro. It is a symphony of flavors from sweet to spicy and textures of crunchy jicama, soft avocado, and succulent shrimp. Someday I will try the Caesar salad or the cheese fondue. I had to have the carnitas, beans, and rice with pickled onions. Tender juicy pork with herbs and garlic that rivals the Los Angeles carnitas I grew up eating. I grabbed a corn tortilla and piled it high with rice, salsa, beans, and pork for the ultimate taco. Another time I tried the delicious carne asada with beans, rice, and plantains. Calabacitas is another delicious side dish. I was a kid again at home eating steak tacos that I made myself. They offer a mushroom torts, shrimp, chicken, and enchiladas. They do offer mashed potatoes besides rice and beans. Chihuahua cheese was first made by Menonites who came from Germany to the USA then to Latin America. The grand finale was boxes because I ate too much. I had a vanilla ice cream sundae topped with in house made cajeta (caramel), fried plantains, and pecans. 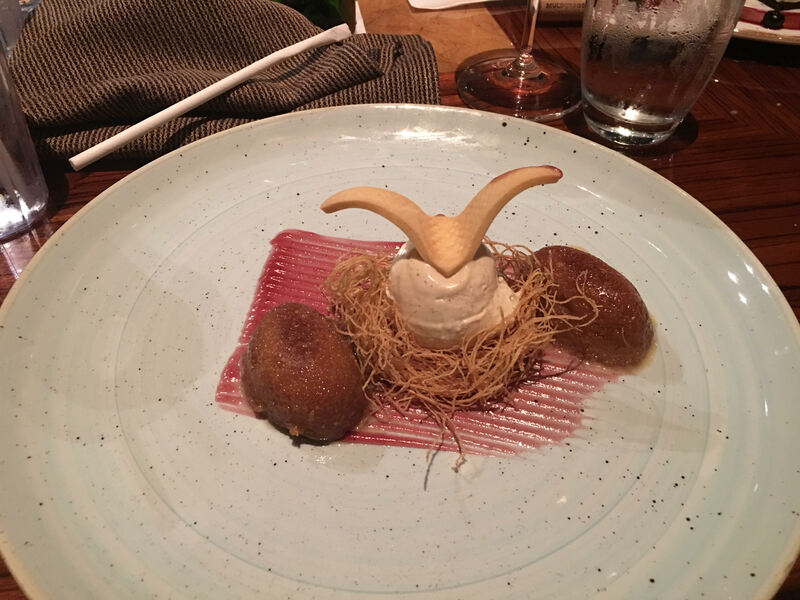 The plantains had the feel of apples baked in a pie. The rich caramel sauce had strong notes of dairy. This is the best sundae I have had in years. Sheer decadence that needs to be shared because the sundae is huge. They offer tres leches and a pecan pie bar dessert that my friends love. I went home full and happy. I had no food reactions beyond gluttony. I felt comfortable with the staff and believe they cared about me. I never needed more tea and the servers knew why their food was special. I feel safe in recommending Frontera Cocina to people with dietary limitations. It can seat large groups as well as a cozy table for two. I watched a little girl be treated like she mattered. They were patient with me as I slowly waddled to my seat. Find out which restaurant won in Laurie’s book for dietary requests, menu, disabled guests and more. One man’s treasure is another man’s junk. I chose 5 table restaurants as my top not because I love them but based on my criteria for a near perfect dining experience. • Top priority is requests. It hurts when staff ignores requests, act like the request is too much bother, or make a guest feel like they are not wanted. When a guest is celebrating a first tooth then celebrate with them. Someone wants a bench seat because of her back which makes her comfortable when they work to accommodate her. Dining out should be worry free while offering a comfortable, stress free meal. At Homecomin’ they gladly gave me a two top with a bench seat. Bongos gladly met my dietary requests. • Kitchen and menu are next on my criteria list. Parents can’t force a kid to vary from its limited diet. There are kids who only eat one brand of a food and only a dozen items. Vegans and religious people choose their diet but please don’t expect us to eat just a baked potato. Those of us with pharmaceutical, medical, and food reactions also don’t want just a plain piece of fish, carrots, and white rice. Staff should try hard and not make guests feel like they are unwanted or a burden because of their diet. Chefs should train the kitchen how to meet dietary requests before the requests come in. They should immediately know how to prepare vegan dishes. Chefs should have dishes for that oddball who goes with friends to a restaurant even if they don’t like the menu. At a seafood restaurant have a meat and taters dish for the oddball while the rest of the group eats lobster. 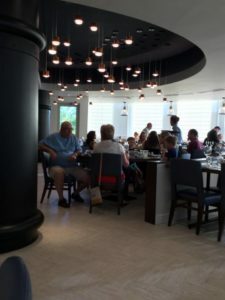 • Disabled guests can have their dining experience ruined when they are forced to walk to their seat, are squished into a booth, or can’t see what they are eating. Visually impaired guests need good lighting to see the menu and food. Anxious people or people with PTSD may prefer a quiet corner. I hate carpets as they slow down my scooter and collect germs. I need a bench seat due to damaged knees and large midsection. Please don’t squish me into a seat with arms or narrow booth. I like tables that move because it is hard for me to stand. Access and comfort is one of my top priorities because I can’t enjoy the perfect meal if I am in pain, can’t see the meal, or am overwhelmed by the noise. • Decor, theme, staff, management and many other things are also on my list. Sitting next to an aquarium is awesome until the tenth guest has leaned in to see the fish. Please, don’t cram into a room, so many tables that guests have no privacy and waiters have their rump in your face. I was at a defunct DLR Latin restaurant, where the whole meal was the waiter scooting past me to get to other diners. Chef Robert Irvine and myself are renown for hating dust collections. The hanging baskets full of dust, shelves that never are dusted, and memorabilia glued to shelves. I have watched the chef rip out carpets that are filthy. When was the last time someone cleaned out the banquet seats? I hate when a busser does not completely clean a table and seats. Management should act on complaints and check the guest to see how they are doing. I love the gorilla animatronic until it goes off for the umpteenth time. 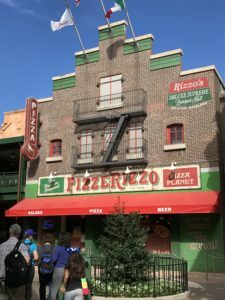 There are so many factors but time for my top five Disney Springs restaurants. • The winner is Frontera Cocina with a perfect score. They use free range beef and can tell you where the meat comes from. No soy, agar gum, and other chemical are present. Food is made the old fashioned way with fresh ingredients, no artificial stuff, and lots of knowledgeable cooking. I was soaked in a rainstorm so they brought me guacamole and chips plus a stack of cloth napkins. They are eager to please and they are disabled friendly. I wish my boss could pay me as I’d ask for carnitas, rice, beans, and a caramel and plantain sundae as pay. They are gluten free except flour tortillas, tortas, and desserts. • The four runners up have issues though minor. I couldn’t choose one. •. Bongos has all my requirements. Their take out window could not do my diet and sent me into a crowded restaurant. Overall I would go back anytime. 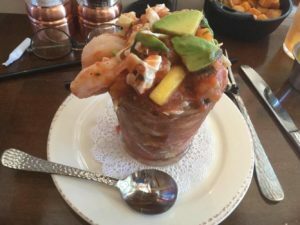 Real Latin cuisine, disabled friendly, and great staff who works around any menu limitations. Could they please make a GF Cuban sandwich, please? 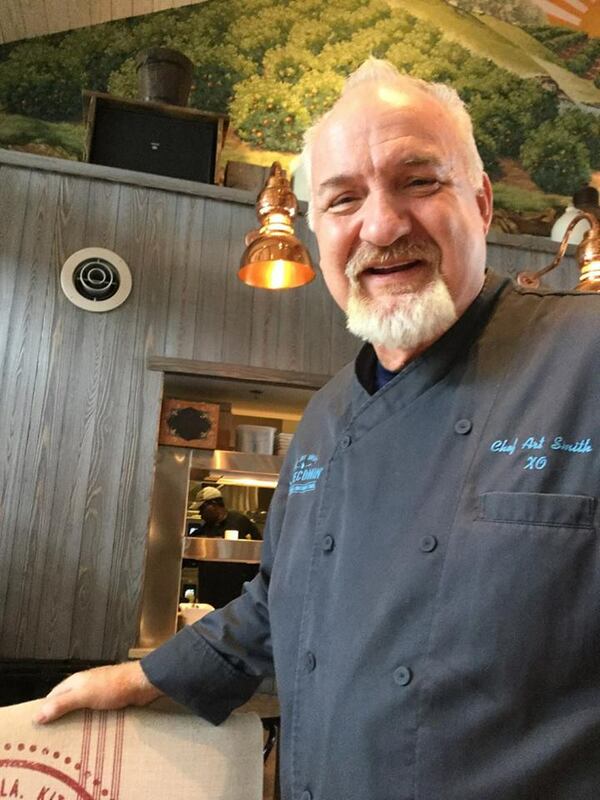 • Homecomin’ had the most awesome Chef Art Smith. They meet all my criteria except food. 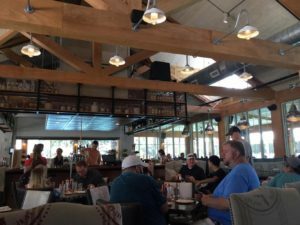 Good lighting, a patio, a bar, staff who works hard to please guests and the best burger in Disney Springs. They use a shared fryer so no fried foods for me. Chicken is brined in buttermilk but they can make one that isn’t brined. Then it is fried with oil used for regular chicken. They did an awesome job when I was there but I wish they had gluten free fries and hush puppies. 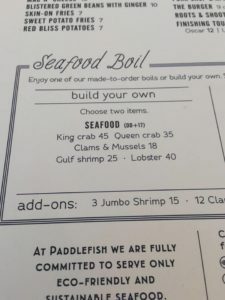 • Paddlefish is a very old building designed like a steamboat. She has been stripped down and turned into a classy coastal cruise ship. They try hard to make guests feel welcome. The would have won first place but they do seafood boils. The air is filled with seafood, potatoes, celery, old bay seasoning, and corn. I loved their shrimp cocktail and was very happy there. They can do vegan and special diets with ease. • Last and not least is BOATHOUSE. I chose 4 restaurants and couldn’t decide who was best as each has limits and all have made me happy. Boathouse has some special diet limitations and needs gluten free bread. The area I was in was a little too close to other guests. I loved the swordfish. Perfect, nearly, and eager to make every diner a satisfied guest. • Raglan Road was my favorite restaurant. The place is packed tight, after 9 pm drinks rule, loud at times, and it was too dark to see a menu or the food. I have had to send back raw scallops and over breaded onion rings. The staff is awesome, as is the entertainers. I recommend them because they usually do awesome with special diets and offer a great experience. Splitsville fails on attitude toward special diets and the fajitas were NOT fajitas. They can be very loud. Service was on point. I won’t go back probably, but will recommend them with the diets and noise warning. • AMC has full service in the lobby. I had a cheeseburger on corn tortilla twice. I think they are needing more attention. Great service in tall tables and lounge seating. I haven’t tried the rest of the menu so still waiting to see how they do. Laurie gives us advice and tips for visiting the water parks – at Disney and beyond. You are in charge of this trip. Explain to your group what is allowed, what can’t be done, rules, itinerary, and what to bring. You don’t want Uncle Harry grumbling because the slides don’t allow rivets on clothes. Don’t dash the hopes of kids who are too short at the park. Talk about limits, as I did 2 laps too many recently. Rules can be government mandated, insurance mandated, or be made by staff. Some rules are firm while others are not enforced. It is up to you to make sure that your family knows the rules and the park rules are obeyed. Casts, amputees, medical devices, and weight are covered at many parks. All parks will remove a rider who can’t use their feet to balance, can’t hold on, or can’t sit up. 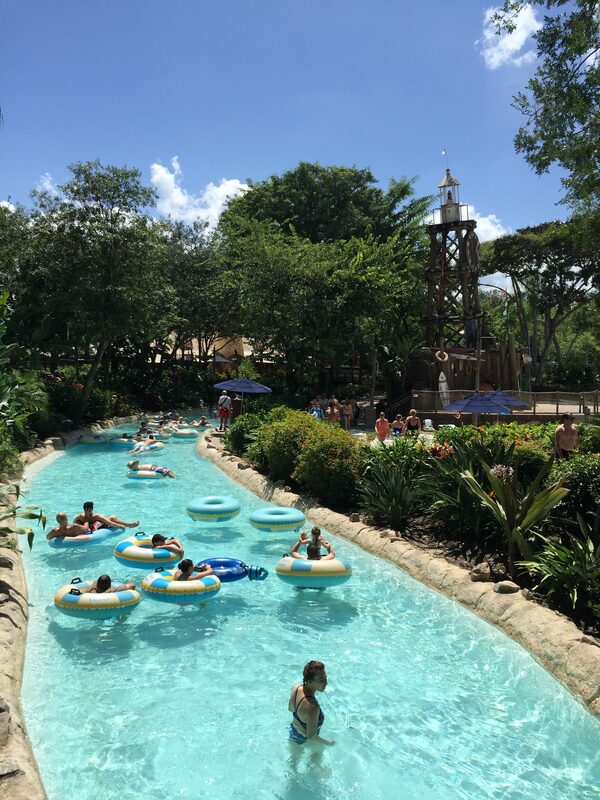 Whether written or unwritten, most Water Parks prohibit horseplay, diving, and interfering with the safety of others. Water Country bans hookahs. Smokers at Disney parks have designated areas. Aquatica prohibits cotton board shorts. Baby swim diapers are required. Do not wear jewelry, scarves, or anything that could be caught on slides and rides. No plastic or metal rivets, buckles, studs, or decorated clothes that could harm slides. Appropriate attire is required. WDW is very lenient about bringing in coolers stocked with food. Most parks prohibit glass and food that needs heating. Most, if not all parks, prohibit bringing in alcoholic beverages. Florida weather makes picnics risky due to the heat. It is best to save up shelf stable packets of mayonnaise and salad dressing. You can bring unopened small jars of mayonnaise and salad dressing then trash them when done. Spam, cashew butter, tuna, bread, and canned corned beef are some shelf items you might want to bring. You can buy food from your hotel to bring, but again, remember that Florida is hot and food spoils easily. Plan on having a designated person to watch your stuff if you camp out. The lockers are not big enough for a family picnic. WDW water parks have one main kitchen that does allergies. TOUGH! That is the attitude I received when I tried to get something gluten and soy free. Another issue is getting from where you are camped out to food. Last time I packed in ice, soda pop, salad, cooked hot dogs, buns, and snacks. Read the menus as some folks will find it hard to find something they like. Most amusement and water parks will close outdoor activities when lightning is nearby. 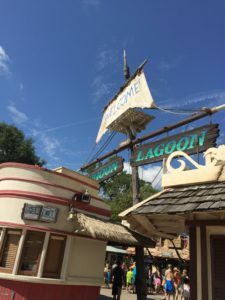 I recently visited Blizzard Beach. I drove my van while wearing wet clothes. At the parking garage’s bathroom I changed clothes. 10 minutes in the rain and I was wetter than at the water park. Chills can set in when the high winds kick in. Air conditioned buses will feel like a deep freezer. When Disney closes the lazy rivers they don’t let you wait to get to your camp or the front. 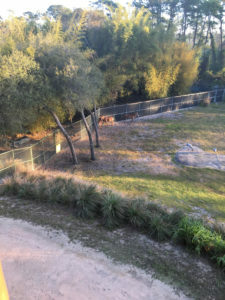 You might have to walk halfway around the park. Tampa storms are eastbound and extreme. If a storm is coming out of the west (Tampa) GET OUT! Sometimes waiting an hour will change things. Storms out of the east (Miami) are lightweight, usually, and tend to do little damage. Having read the rules, told the group the rules, and packed for a week trek, should make this a fun outing. Check the schedule as there are events during the year such as the Olympics themed bash. There is usually one character per park with limited hours and they don’t come out during storms. There are many things to do at Disney water parks. The short kids can start off in a safe play area with splashing features, slides, activities, lifeguards, and shallow entry kiddie pools. Disabled guests might be able to get a water wheelchair that requires someone to push them. There are bump steps at the creeks and the main pool is shallow entry. There is a gondola on the ski lift for wheelchairs and disabled guest who can’t use the ski lift. There are single and double tubes as well as toddler tubes with a solid bottom. There are private umbrellas with a couple of towels, umbrella and chairs for at least $40. Save your money! Cabanas are expensive and worth the cost if you can afford it. They include private locker, towels, table and chairs, waiter who fetches drinks and food (you pay for items), cooler full of ice, and bottled water. This may have changed. 6 people who don’t have to worry about protecting their space and personal belongings. Mobile Order – available at Satu’li Canteen, Pizzafari, Tomorrowland Terrace Restaurant, Cosmic Ray’s Starlight Cafe, Pinocchio Village Haus, Pecos Bill Tall Tale Inn & Cafe, and Columbia Harbour House. One must have a My Disney Experience account, credit card attached to My Disney Experience, and notifications on. Expect many more locations to come. Most places will not offer special diets or customizing meals. It is for folks who order right off the menu. •Smiling Crocodile is offering open face sandwiches that start with a BLT and adds salmon, turkey, or pimento cheese. •The Cheshire Cafe sits across from the Tea Cups. 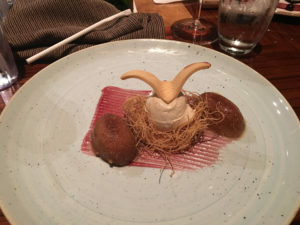 The menu was stripped down to drinks and a Cheshire Tail which is a Danish twist (pastry) filled with chocolate and topped with blue and pink icing. •Prince Eric’s Market went from turkey legs to a ham and cheese pretzel. Cookies were added and some items were removed. They have an Under the Sea treat (cupcake). •Gaston’s Tavern also offers a ham and cheese pretzel as well as offering trios of macarons as a special. Choose from either Pistachio, Raspberry, and Lemon; or Chocolate, Vanilla, and Coffee. •Tortuga Tavern has a special offering of chocolate almond cake topped a red dome on a blue whipped cream sea. •Cool Ship has gone from chips and Mickey pretzels to pizza frusta. The proper term is “frusta” which is pizza dough with the sides fold up and around to make like a Hot Pocket. They offer sausage and pepperoni or cheese and tomato. •Tomorrowland cart sells snow cones. •The Plaza offers seasonal soup and a honey baked brisket macaroni and cheese entree. •With the Frozen lines calming down it is time to open up the margarita stand. Chosa Tequila will sponsor the stand and also offer tequila, emañadas, and guacamole. •Taste Track has expanded their dessert menu. Apple pie sundae has caramel popcorn, ice cream, apple pie, and caramel sauce. Berry explosion is ice cream topped with berries, pound cake, cotton candy, and strawberry pearls (molecular science project). The chocolaty churro is a hot fudge sundae with chocolate curls and a churro. Adults can have adult orange soda and root beer soda and these are used in floats. They still have soft serve and ice cream sandwiches. •Akershus has added a creamy 4 cheese and vegetables pasta called the Fylt Pasta. •Coral Reef needs a major makeover. 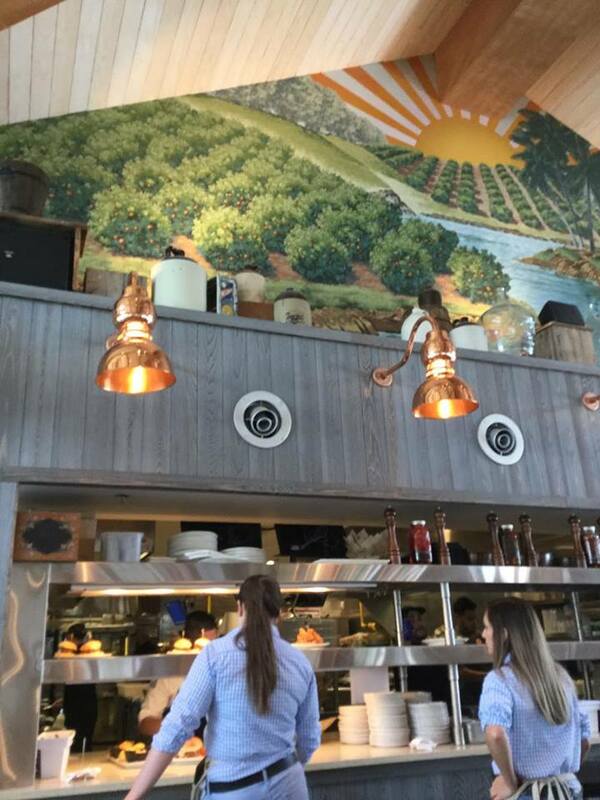 She now offers citrus bread pudding, an Asian style tuna bowl, pork chop with braised greens and potatoes, charbroiled octopus appetizer, and a lump crab and watercress salad. •Sci-Fi diner is tweaking it menu and adds the Drive-In burger and the falafel burger. •Hollywood and Vine is going into a Summer theme for the Minnie’s Summertime Dine. The three food courts will now sell alcoholic beverages. Velvet Ropes and Strawberry Fields are two names for a strawberry shake with Frangelica. There is a chocolate shake with candied bacon and bourbon. Martinique has a well stocked market in a converted hotel room. A buffet and food truck is in the pool area. The Wave is offering unlimited mimosas for $16. Narcoossee’s now offers lobster tail and steak as its surf and turf entree. Fittings & Fairings gift shop is closed until July. Half of the shop is now open as the Market at Ale & Compass. They offer egg white wrap, sticky bun, feta and egg pastry, and a turkey and egg sandwich for breakfast. 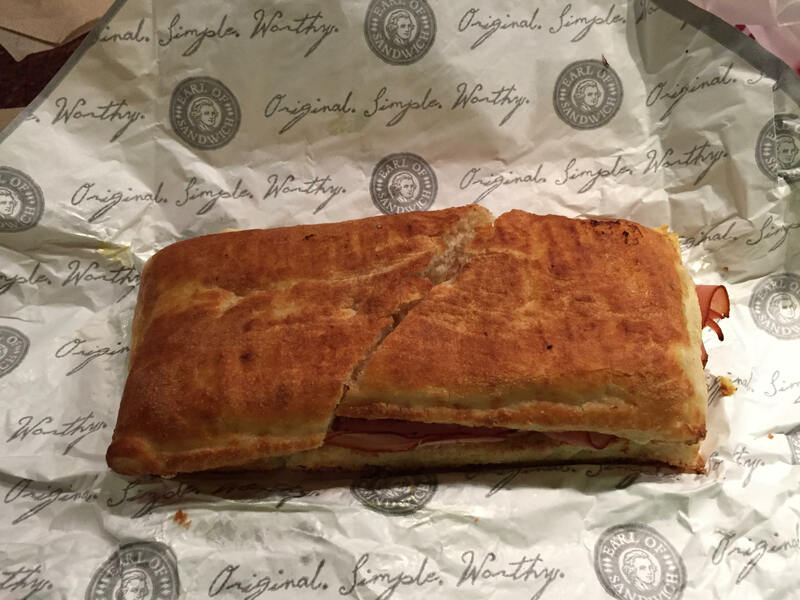 The rest of the day they offer paninis, ham and cheese sandwich, veggie sandwich, and spinach feta pastry. They have a grab-and-go area with oatmeal, sandwiches, salads, and pastries. They have Larabars, cereal bowls, fresh fruit, ice cream and many items to make lunch with. •Wolfgang Puck will vacate his current location in the Westend. This will make room for Paleo. Closing date is August 1, 2017 and all employees have a job waiting for them in the Levy chain of restaurants. •Splitsville has an enclosed second floor that just opened. •The Daily Poutine has added a cheeseburger Poutine but continue to use frozen fries. As we wait for Edison and Wine Bar George we now have more to watch forward to in 2018. Portobello will become Tony Mantuano’s restaurant. Wolfgang Puck bar and grill as well as Jaleo by José Andés add to the list of new chef owned restaurants. Can gourmet cotton become a new trend? Disneyland California Adventure has a dole whip flavored cotton candy. Always check menus and the news for changes. We are going into Summer so expect some menu changes. Disney cruise line changed menus the end of last year. 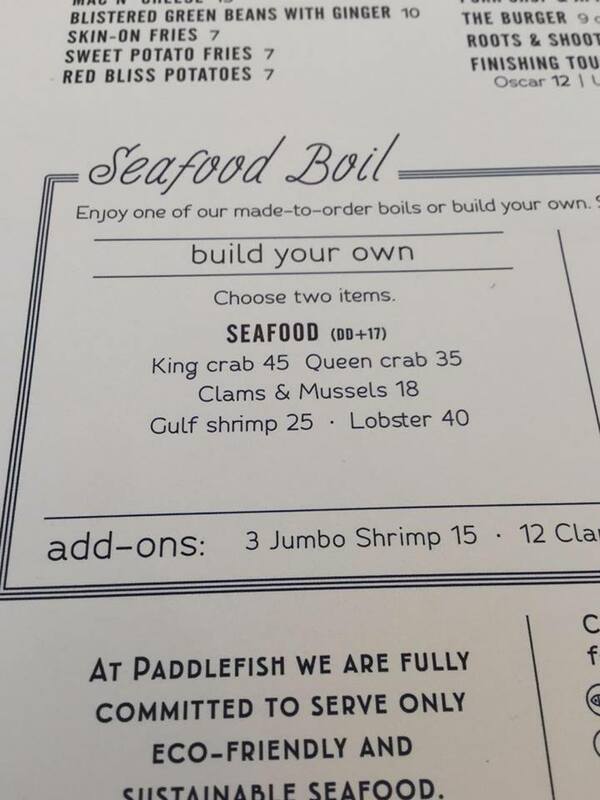 Sometimes a restaurant will get an item on stock and add it to the menu for a while. Some menu sites are very outdated so look for discontinued restaurants and obvious errors. Laurie shares her tips for touring Hollywood Studios. Check them out, they may save you some time! It takes lots of preparation for a trip to Hollywood Studios. There is the quirky weather that can turn into monsoons and high winds, plus blistering heat, that can ruin a vacation. The worst thing is the layout of the park. One can end up walking in circles and backtracking repeatedly so here are some key features and tips. 1. The entrance hub has snacks, drinks, rentals, and guest services. 2. The central or main hub branches directly off to all other areas except Muppet Courtyard. From here there are Keystone Lane, the Echo Park paths, Commissary Lane, Animation Courtyard, Hollywood Boulevard, and Pixar Avenue. 3. Star Wars Hub has paths to Muppet Courtyard, Commissary Lane, and the Echo Lake paths. 1. Hollywood Boulevard has restrooms next to Oscar’s service station. There is a snack kiosk, snacks in stores, and Starbucks for last minute drinks and snacks. 2. Keystone Lane and Echo Lake paths connect Hollywood Boulevard and the main hub to the Star Wars hub. This path has the Indiana Jones Stunt show, Star Tours, Jedi training, and the Frozen Sing-Along. 3. 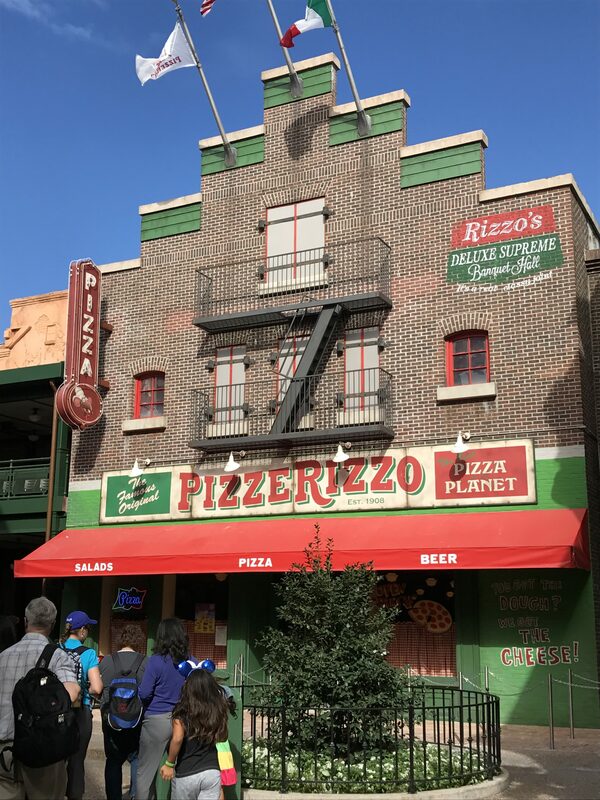 Muppets Courtyard has the Muppet show, shops, Mama Melrose and Rizzo’s Pizza. It is a building with a path around it. It is best to do Muppets then exit at the rear where you will take a path to the big Muppet store. Around this is restaurants and shops. 4. Commissary Lane has the ABC Commissary and the Red Carpet meet and greet. This path is best for avoiding the Echo Lake traffic. 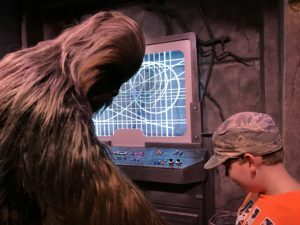 The meet and greet is right off the Star Wars hub, so this path is not important in your planning. 5. Pixar place has Toy Story Mania and two meet and greets with Green Army Men appearing at the end of the path for a third meet. The other place is One Man’s Dream which does previews and character meets, sometimes. The theater empties into the Animation Courtyard by the bathrooms. Exiting this building allows one to do Launch Bay and the bathroom before returning to the main hub. 6. Sunset Boulevard runs from the main hub to the Tower of Terror, Rock ‘n’ Roller Coaster, Fantasmic, and the Beauty and the Beast show. 7. 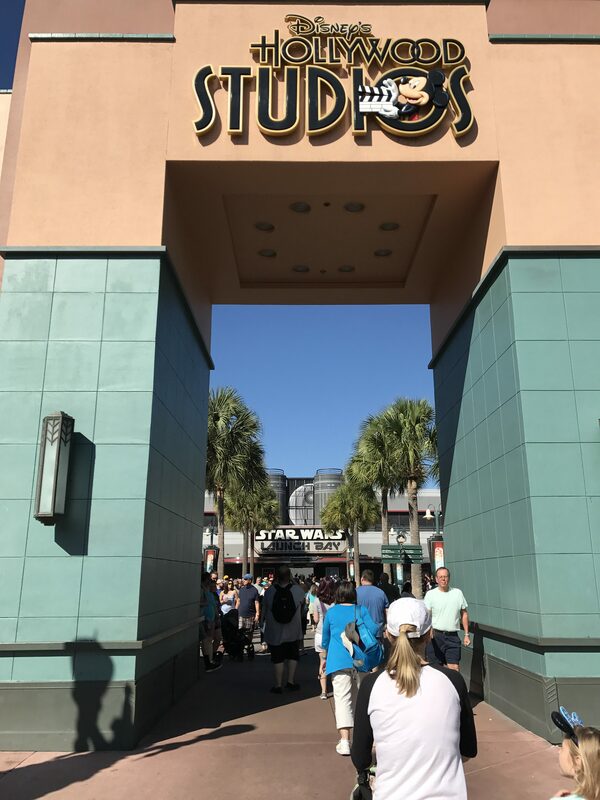 The Animation Courtyard has the Brown Derby, Playhouse Disney Junior show, character meets, Voyage of the Little Mermaid and the Launch Bay which is everything Star Wars. 1. Entrance on both sides of the gate. 2. Sunset Boulevard has ones in the middle in an Alley and by the Rock n Roller Coaster. Just as you are about to enter the Tower of Terror Courtyard, on the right, are bathrooms. 3. Pixar Avenue in the middle. 4. Main hub has one on the Frozen show building next to Commissary Lane. 5. At the Star Wars hub in a metal building. 6. Muppet Courtyard on the left as you enter. 7. In the Animation Courtyard in a far distant corner, next to the Launch Bay. Some restaurants have bathrooms as well. The nurse’s station has a restroom. The baby center had toddler potties. I include Star Tours and the Great Movie Ride as they have the same effect as shows, fireworks, and parades. One has to have a backup plan to deal with shows. Suddenly a herd of charging people burst onto the paths. 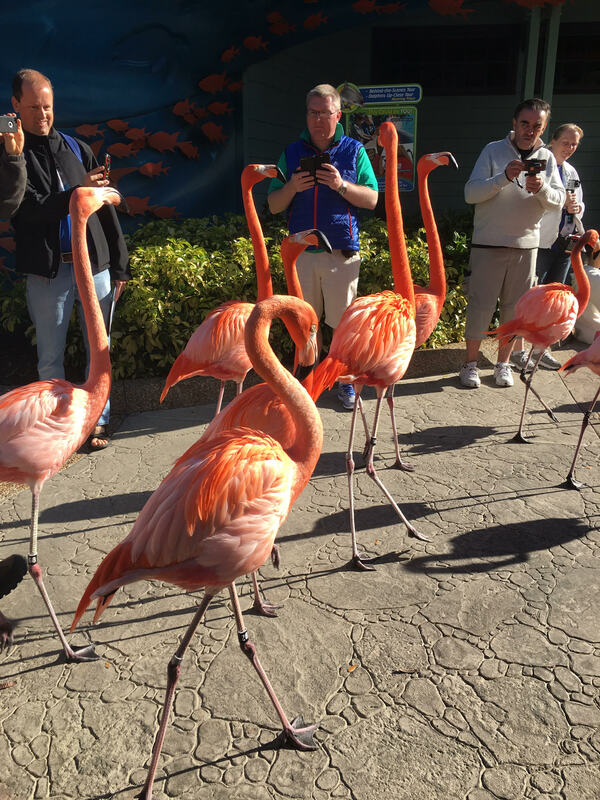 They all seem to being headed for a bathroom, snack stand, attraction, exit, or show. The bathrooms in Muppet Courtyard and Pixar Avenue rarely see heavy traffic so I use those to avoid crowds. Don’t wait until the last minute to enter shows and rides. As soon as Playhouse Disney Junior empties there are people heading to the Little Mermaid. Also, when exiting, try to stay toward the side you plan to head toward, as this reduces the chance of getting stuck in the crowd. If one is leaving Frozen for Star Wars or Sunset Boulevard, then wait until you get to those areas for a potty break. Show times are designed so guests can get a lot of shows seen. Each trip is unique because of the needs, wants, abilities, and limitations of each member of the group. A single parent with two toddlers will need a different plant than a group of adults. 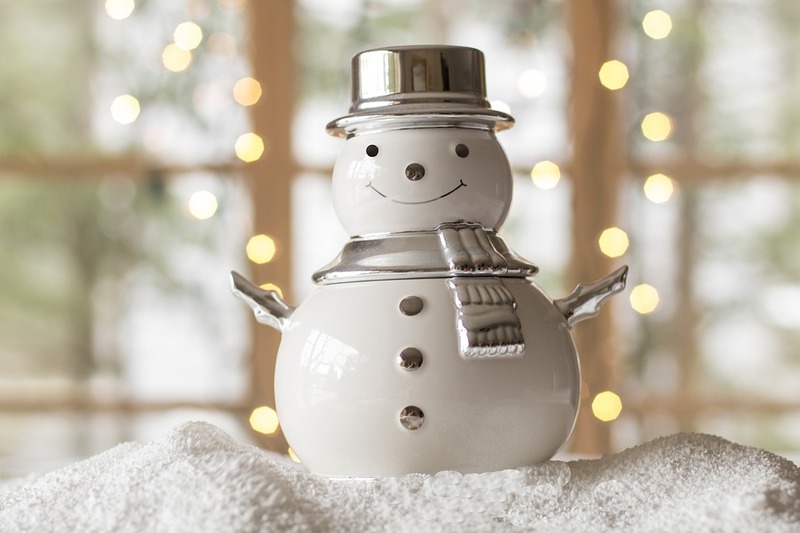 Knowing where things are can help one to reduce wasted time and energy. It helps to be able to find food that you want instead of settling for a cheeseburger or a ice cream bar. Be ready to head to an ice cream shop for a sundae or the Tune In Lounge for a meal. I did Indiana Jones, Star Tours, Mama Melrose, Muppets, Muppet Courtyard, Frozen, and Toy Story Mania. All of this was on Echo Lake paths, and the Star Wars hub except Toy Story Mania. I had to retrace my steps but I got everything done. Some people suggest criss crossing the park many times. It is easier to do most things in one area than wasting time dashing around the park. For most guests I recommend doing Rock n Roller Coaster, Tower of Terror, and Beauty and the Beast at the same time. Do Frozen, Indiana Jones, Star Tours, and Muppets in one big loop. Toy Story is a block or two away from the main hub but not too far so one can do that then go to FP type rides. Little Mermaid, Playhouse Disney Junior and Launch Bay can be done in one loop. Stay to the far left if you want to do Star Tours and Jedi training. Stay far right for Sunset Boulevard then move far left for Rock n Roller Coaster. Stay in the middle until you are past Sunset Boulevard then go to the far right to go to the Animation Courtyard and Toy Story Mania. Toy Story Mania will veer left into Pixar Place. That is when you should be on the right side. The entrance is on the right side about 3 feet from the wall. Being right lets you form the line as people merge. Left ends up making a u-turn then follows the forming line back and back and back. This also happens at the Seven Dwarves mine ride. Knowing where lines start helps one to be in a forming line instead of being stuck outside. I have major wifi issues in the parks. Before heading to the parks I take screenshots of my Fastpass times. When I travelled to Tampa and Lakeland there were screenshots of the map. Take pictures of everything you bring to the parks including kids and service dogs. You can show CMs what the lost stroller, mother, camera, or purse looked like. “Blue shirt” is not as good as showing the shirt in a photo. Take pictures of where you parked. Pictures can be deleted so I take a lot of “reminder” photos. I recommend Mama Melrose, Green Army Men on Pixar Place, Brown Derby Lounge, Star Tours, Star Wars Spectacular, and Toy Story Mania. The Star Wars night time show is awesome close up but you can see more from farther away like by Indiana Jones. Have a magical day in Hollywood Studios. She’s back! Laurie gives us the latest update on several dining locations and more. SAD NEWS!! Starring Rolls on Sunset Boulevard in Hollywood Studios has closed. There is no word on what will become of the location. 💔 Saddest news is that the 2005, yes it is that old, Club Penguin will be DELETED and replaced with Club Penguin Island. BOOO!!! Also say farewell to the Muppet balloon at Hollywood Studios. GOOD NEWS! The margarita stand in Mexico pavilion in Epcot is being replaced with a Choza tequila sponsored bar that will also serve empañadas, tacos, and guacamole. Magic Kingdom has added alcoholic beverages to the menus at Tony’s Town Square, Cinderella’s Royal Table, Skipper Canteen, and Liberty Tree Tavern. HALLELUJAH!!!!!!! Cosmic Ray’s has discontinued the bays. No more having to wait in one line for a sandwich and one for a burger when there is a central kitchen. The menu remains about the same. One line for all your dining! COMING SOON!!! The Polite Pig will be coming to Disney Springs this year. They offer wood fired grill fare. The Edison and possibly other spots will open someday maybe this year. The third addition to Disney Springs is Master Sommelier George Miolotes and his Wine Bar George that will be a wine connoisseur’s heaven. Jiko has added perch from Lake Victoria, Durham Ranch elk loin, lamb tagine, and buttery-sweet scallops that are paired with Berkshire pork belly chutney. A new appetizer is the Manti Dumplings that are filled with boar, bison and elk and accompanied by spicy tomato sauce and saffron yogurt. The new (6 months) Chef Daniel Sicilian is offering seasonal side dishes as well as offering menu items based on what is available in the market. Another new Chef is Michael Craig who will be offering a Tanzanian chocolate mousse, pistachio financier (a type of cake), pink peppercorn meringue, cacao nib crunch and pineapple dessert. An interesting and tasty sounding dish is the sweet potato cheesecake with sweet apple chutney. 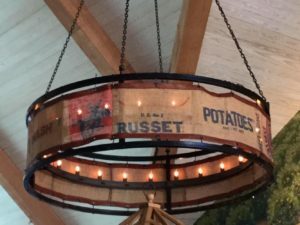 Finally, after nearly two years of construction, Disney’s Wilderness Lodge has added the Geyser Point Bar & Grill. Cedar beams and natural stonework make for a comfortable place along the water to rest after a long day in the parks. Adults will find themed drinks and items from Pacific Northwest breweries, vintners, and distilleries. This will be a “small plates” type of menu that features crispy fried oysters with miso tartar sauce; cheesy barbecue brisket with house-made chips; “Shrimp on a Wire” with miso-lime vinaigrette, togarashi spices, shishito peppers and chili-aioli; and a handcrafted charcuterie. They will have a walk up window. They are open for all meals. Breakfast includes scrambled eggs with sausage and bacon, crab cakes Benedict, and maple-cinnamon pancakes. Seasonal fruit plate with lavender honey yogurt. For dessert there’s seasonal pie and a chocolate brownie mousse with caramel popcorn and toasted meringue. The Lily is back as Paddlefish with awesome seafood as well as steak. They are out of the Levy chain so expect special diet friendly dining. 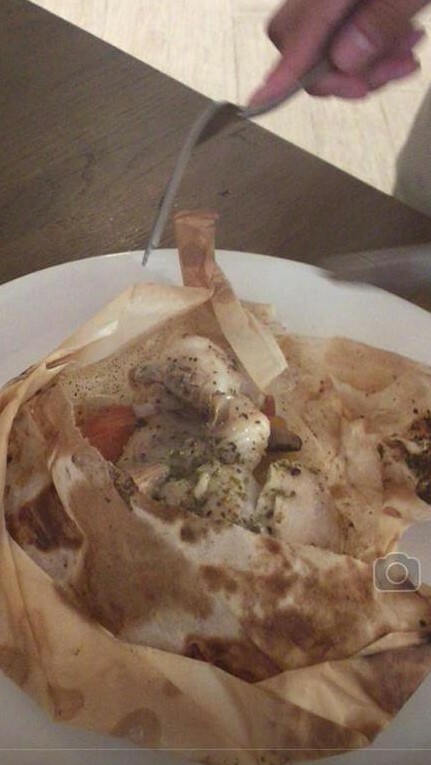 They are the only place serving en papillote style fish. They offer mussels, shrimp, oysters, clams, and lobsters in an array of presentations. The boils are red potatoes, corn and choice of seafood boiled up like in New England. 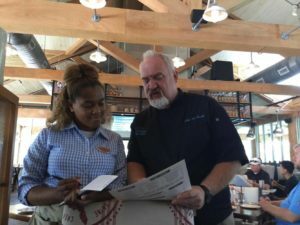 Guy Fierri has join Planet Hollywood in the menu designing part of the grand reopening. The Stargazer Lounge will feature Florida breweries and will offer signature drinks. There will be outdoor seating with views of Disney Springs. Look for old favorites and new Fierri inspired dishes. A night at the observatory has taken on a new meaning. Trattoria Al Forno will be offering a character breakfast this Spring. There are no details other than Tangled and Ariel characters in a “Bon voyage” theme. Hollywood & Vine will continue to offer a Playhouse Disney Character breakfast from 8 am to 10:20 am. On May 14th the Minnie’s Seasonal Dine will start at 11:20 am. Watch as the theme will change to Spring. ABC Commissary has guests order food, sit down, and they deliver the food to the table. The menu is very tight so check to see if like what is served. 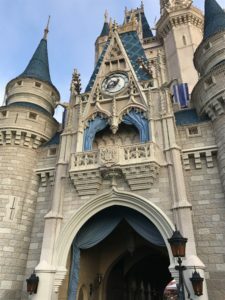 Magic Kingdom has new breakfast options. Casey’s Corner will be serving muffins, bagels and a croissant donut. Plaza Ice Cream Parlor will serve Mickey waffles, Kelloggs cereal and donuts. Kids will love the donut sundae, a donut topped with ice cream, hot fudge, apple, whipped cream, peanut butter chips, chocolate chips and a cherry. Sleepy Hollow has the new egg, ham and tomato waffle sandwich as well as the fruit and chocolate-hazelnut waffle sandwich. Golden Oak has dropped the waffle fries and only offers regular fries and chicken nuggets. 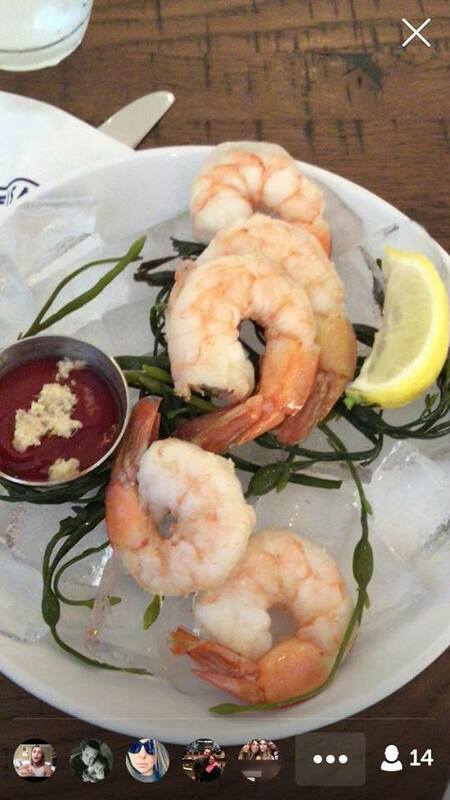 Keep an eye open for holiday dining as Cape May will do a Mother’s Day and an Easter Brunch. Maple flavored popcorn can be found in Frontierland. Casey’s Corner will have monthly specialty hot dogs such as the barbecue slaw dog. Captains Grille at the Yacht Club will be at Ariel’s in the same building from May, 2017 until Autumn, 2017. Last December Sanaa added typical breakfast fare with an African flare. 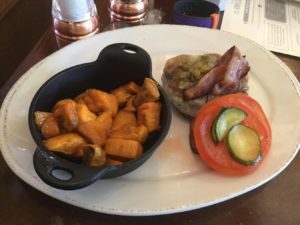 The Contemporary and Yacht Club will offer guests a quick meal for breakfast menu placed with the menu inside the room service info. This is a test for now. Pandora will be the newest land in Animal Kingdom. What is know is the names are Satu’li Canteen (restaurant) and Pongu Pongu (adult drinks). Kiosks, quick service, lounge, or table service is not known. Rivers of Life show packages are a great deal and allow guest to try Tiffins and other restaurants. The night time is very limited in hours so it is best to do the package to save time. 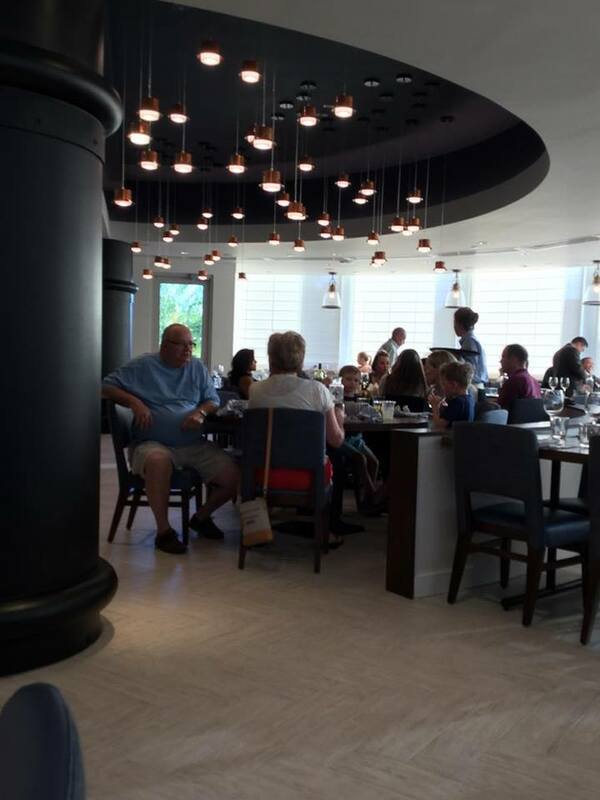 Gasparilla Grille at the Grand Floridian now offers stations (bays). The sandwich bar offers sandwiches, such as roast beef, ham, and turkey. They are made fresh like at Subway but not subs. There is a salad bar as well. In the mornings there is a station that will serve yogurt with a variety of toppings available. The hot sandwich and pizza station features in-house pizza dough. There will be gourmet burgers, mahi mahi Reuben sandwich, and a chicken and Brie sandwich. There will be a station offering baked goods such as coconut pot de crème, almond fruit tart, and in-house yummy treats. Also they will offer typical coffeehouse drinks. Pokemon Go is based on GPS which may use outdated info. Poke Spots and Poke Gyms are assigned to churches, landmarks, and businesses usually. In time these locations may close, disappear, become unsafe, or change use. These locations can be swamps, burnt out buildings, meth labs, gang houses, or other criminal based activities. There could be guard dogs, gun toting lunatics, or sexual predators at the location. Lures are used to attract Pokemon for half an hour. Some can be attached to Pokemon Spots and others to the game character so that people gather in one location hoping for a rare Pokemon. A search on Google will find Poke Spots like the Neon Zebra that is an adult bar and my favorite, Shipwreck: the Alkimos that is a long swim if you dare to try to visit. Sadly graveyards, 9/11 memorials, and other places of remembrance are now playgrounds for Pokemon players. There is no way to easily add spots like the Salvation Army or removing unsafe sites or graveyards. The system needs to change so that players don’t bother people. Treat the game like a real life treasure hunt. Don’t go onto people’s lawns to catch a Golbat or go into the kitchen at your local diner for a Ponyta. People are going backstage at Disney World in search of Pokemon. Don’t park at a business just for Pokemon as that is rude. Do not climb over chains and fences into forbidden areas. There is rumor that Disney plans to tweak its filters on free wifi to block Pokemon sites. Don’t use graveyards and holocaust sites for Pokemon as you should respect the dead. As a Christian I would never visit a satanic site or a brothel even for the rarest Pokemon. Pokemon critters, spots, and gyms are assigned without much concern for public safety. People get hurt when they fail to see sidewalk cracks, branches, poles, holes, traffic, people, animals, and other objects. People risk their jobs by playing the game on company time or by taking pictures of Pokemon where cameras are not allowed. Islam banned Pokemon as a form of gambling when Pokemon was on Gameboy long ago. People are forgoing real life duties and family for Pokemon hunting. I watched a pickup almost hit a guy on a motorcycle because of Pokemon. Many minor incidents go unreported but I have been in downtown Winter Haven watching road rage, poor manners, and unsafe driving. New York plans to ban sexual predators from having Pokemon Go. An old ruse is for a predator to have a puppy and ask for help finding the owner. Imagine a man telling a Pokemon obsessed kid that there is a Sandshrew near by. Spots with lures attract people even in the dead of night because lures on Poke Stops have a better chance of finding rare Pokemon. Stay in your car if you must go to an unsafe lure site. Is that lure site a happy family friendly site or is it a dark street in the middle of the bad part of town? Remind kids about meeting strangers, chatting online with strangers, and dealing with people in general. Some predators find a location then study area information so they can easily befriend victims. But he talked about the local hardware store, grocer, park, and my school just like he lived there. Make sure kids don’t share too much information. Once a girl was starting to cut herself so I called her school. I knew her age and school as she shared it in a chat room. Even adults have to be careful. Be safe online. The one thing I hate about Pokemon Go is the assignment of locations to sacred places like graveyards, Auschwitz death camps, and war memorials. People and governments could lead to bans or restrictions. Armies are prohibiting Pokemon game play as are Islamic leaders. People are concerned about sexual predators and criminals using the site. Businesses are also cracking down on gamers at the work place. Pokemon Go must curtail certain activities or face strict regulations on all augmented reality programs. Imagine going to a concert and 5 people have Master Chef on IPads. The volume is cranked up and they chat away about the show. You cannot hear the concert and the iPads are disturbing your view. Could that happen? NO!! Yet people go to amusement parks, museums, and malls to play Pokemon. While a little girl is enraptured in It’s a Small World there are adults sitting in front of her catching Pokemon. In front of her adults chat about Pokemon as the little girl strains to hear the dolls sing. MARK MY WORD – continued disrespect of the dead and of historic monuments, rude behavior, and safety issues could lead to new strict laws or even bans on playing Pokemon Go. 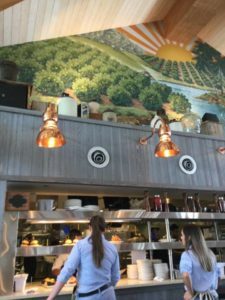 Laurie gives us a great review of the new restaurant in Disney Springs – Chef Art Smith’s Homecoming. 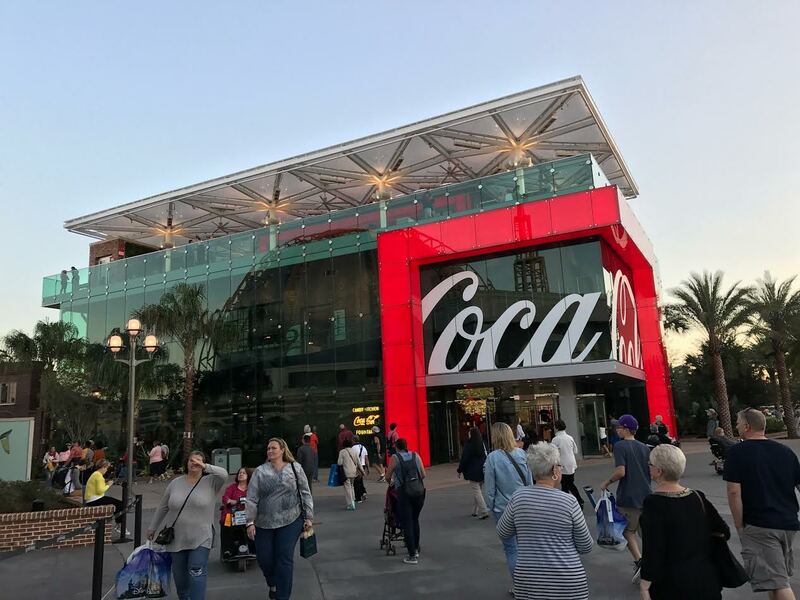 The Disney Springs backstory drastically changed when Town Center was added. Now the creek is where people settled in the 1850’s, then Marketplace opened up, then the arcade and The Landing. 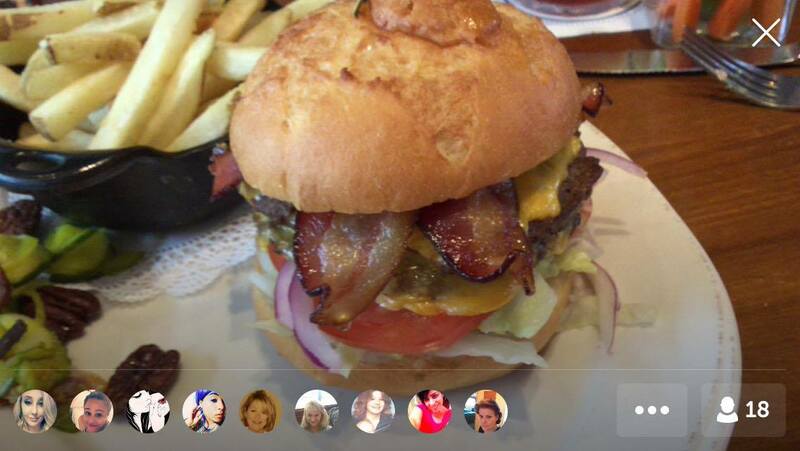 Sprinkles, Homecoming, and D-Luxe Burgers are in farmhouses that were converted to businesses. I rolled my scooter up to a flat entry area where staff opened the door for me. I was in awe at the glass house with ceiling to floor glass. The check in desk was a huge solid wood fortress which I feel is great because the staff have lots of room for supplies and menus. WOOD FLOORS!! On the left is a beautiful bar surrounded by banquette seats and armless chairs. This has to be the biggest Florida room ever. Instead of screens, there is glass walls. I can imagine a chef lost on the creek when he sees this old ranch house. He uses lots of wrought iron and burlap for decorating. I stopped and stared at the burlap on the chandeliers, then noticed the feed sack design on the furniture. Hardwood floors make it easy to keep the place clean. The tables are spaced out to allow some elbow room. Overall the seating, lighting, flooring, and spacing makes this a disabled friendly place. They offered to let me take my scooter to my table. The place has a beautiful riverside painting with a gorgeous egret. All around are moonshine jugs and crates. The best dish was the Hamilton Burger with two fine-ground burger patties, white cheddar cheese, grilled onions, tomato slices, bread and butter pickles, and a chow chow pickled relish. I used my own bread but Chef Smith is working with local food writers and site owners to find vegan and gluten free options. I loved two perfect patties topped with a subtle cheese. The pecan smoked bacon was meaty with smoky hints for one of the best bacon I have ever had. The grind is an issue for me but still this gets top five WDW burgers. The blend of juicy beef, subtle cheese, and veggies that does not bore the palate. This is the pride of Hamilton County, FL which is where Jasper is located. The two side dishes were soft in texture so let them know if you want almost raw sweet taters and greens. I had a cast iron pot full of kale, white wine vinegar, red wine vinegar, and onions. This tangy dish was ideal muse to the sweet tater cube while both are perfect with any entree. The touch of cane sugar pools at the bottom so one can eat just sweet tater cubes or slather the cubes with sugar cane goodness. I liked the shrimp cocktail though a bit spicy it was a perfect blend of shrimp, avocados, onions, tomatoes, and secret sauce. Another spicy dish was authentic chunky grits with Tasso ham gravy and shrimp. This is not cheese grits or the commonly served corn purée. It reminds me of my Dad’s grits. I strongly recommend Homecoming to all guests. The creek view is realistic and there is a patio for dining. There is a bar that serves Florida alcoholic beverages and moonshine. One can come for a drink with friends without a reservation. This Florida Room is designed for all types of guests and their needs and desires. They have chicken and donuts, biscuits, chicken and dumpling soup, fish, chopped pork, salads, hush puppies, desserts made in Jasper, Jasper board, anything fried, and sweet tea. Kids can have cheeseburgers, fish sticks chicken, and tenderloin with mashed potatoes, greens, veggies, and donuts with ice cream. There are a few take away dishes like fried chicken. I want to sit on the porch while eating the Jasper Board, chopped salad, steak with palmetto butter, mashed taters, sweet taters, greens, and ice cream topped off with sweet tea. That would be a perfect day, indeed. Charles Smith grew up in Jasper, Florida which is 170+ years old. The area mainly consisted of Georgians and other Southerners looking for land, elbow room, and prosperity. After years working for celebrities and establishing himself as a top chef, there came a time when he went home for good. He goes by the name of Art Smith and is renown for civil rights, rebuilding Jasper, and teaching kids how to cook.